AGU, THE Galway based Polish-Czech singer-songwriter, called "one of the most remarkable new singer-songwriters in the Czech Republic" by Milan Tesar in Magazin UNI, releases her new single 'Ines' today as a taster for her forthcomign album. Agu - "I was given the name Agnieszka, but because I’ve moved a lot and lived outside of my motherland most of my life, people have called me different names. Agu stuck with me the most," as she told An Áit Eile - was born in Poland, she lived in Prague for many years, where she started to write music. In 2015 she released her debut album Ke Svetlu (Towards The Light ) on German-Czech independent label Yannick South. It was awarded Tais Awards Harvest Prize 2015, an independent Czech music award. Agu is currently working on a new album with local producer Tony Higgins. While the album is out in the autumn, a taste for what is in store will be provided by the new single 'Ines'. "The song reflects a period of my life that changed everything," says Agu, whose music mixes indie-folk, post-rock and atmospheric ambient. "It's about realising you are dying even though you do not have to. All you need to do is spread your wings and try to fly. Leave the nest. Take control. It's about realising no one but me can define my future, closing chapters and opening new ones." 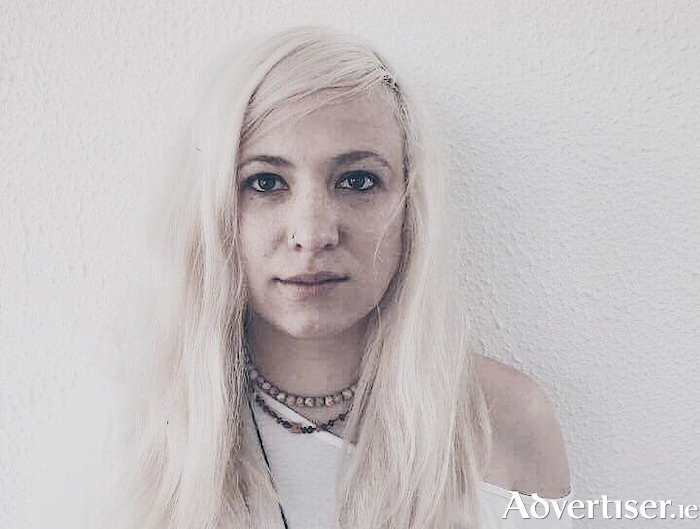 Agu's sound is grounded in indie-folk, with strong post-rock and ambient influences. Using a loop station, various effects, and vocal harmonies, she creates layers of atmospheric sound, and sings in a variety of languages. Agu, along with Dublin singer-songwriter Sarah Buckley, plays the upstairs bar of the Róisín Dubh on Friday March 9 at 8pm. Sarah Buckley will release her debut EP this year. She has performed her song 'You've Got Me' on RTÉ television, her song 'Wedding Bells' at RTE's Reflecting On The Rising live event, while 'Magic Powers', was included in a shortlist out of 500 applicants on John Murray's radio show. YouBloom Blog has called her "a talent that is almost colossal in its potential. Her style blends intuitive songwriting with a raw, honest, soulful vocal twang that recalls some of the best acousto-folk and country singers of all time". Admission is €5. Support is from Kieran O’Brien. See www.agumusic.com and sarahbuckleymusic.com Agu's single is available now on YouTube, Spotify, iTunes, Deezer, Tidal, and all other streaming devices.